Press Release – New York, NY – May 23, 2016 – Nationally recognized securities and corporate law firm Sichenzia Ross Friedman Ference LLP announced today that it has represented Laidlaw & Company (UK) Ltd. and Roth Capital Partners, LLC as Joint Book-Running Managers of the initial public offering of PhaseRx, Inc. (NASDAQ: PZRX). The public offering consisted of 3,700,000 shares of the Company’s common stock at a price to the public of $5.00 per share which resulted in aggregate gross proceeds of $18,500,000 before deducting expenses. PhaseRx, Inc. is a preclinical biopharmaceutical company developing a portfolio of orphan drug products for the treatment of inherited enzyme deficiencies in the liver using intracellular enzyme replacement therapy (i-ERT). 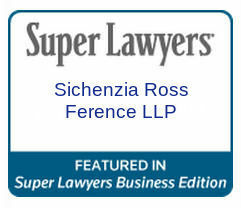 The Sichenzia Ross Friedman Ference LLP team was led by Partners Richard A. Friedman and Stephen A. Cohen and associate Jay Yamamoto. Sichenzia Ross Ference LLP Represents A.G.P/ Alliance Global Partners in $6.5 Million Public Offering for Cellect Biotechnology Ltd.